I often hanker after the bright lights of the cities with an abundance of things to do. When I visit London, or Birmingham, I find myself wishing I lived there. I often lament about where I live and the lack of ‘life’. However, with the mountains on one side and the sand dunes on the other, I realise that I am seriously lucky to live here. Many of our caravan owners who live in towns and cities comment on how wonderful it must be a wonderful place to live. I guess they are right. All too often I don’t appreciate the beauty of this place, and not just in summer. Some of the most enjoyable walks I have had have been in weather that was less than glorious. Two years’ ago, we got a dog with the dreams of long, brisk family walks along the neighbouring beaches, and through the gorgeous Sand Dunes of Ynyslas Nature Reserve. My son spends his life outdoors, day or night, sun or rain, he’s outside; if he can come along on the walk in his football kit with his football at his feet he’ll be there. Ask him to dress appropriately for a rainy, cold winter’s day (God forbid I mention wellies!) and the request is met with a flat refusal. He compromises and brings along the dreaded hoody, which I know I will be carrying within 5 minutes. Once out, the moaning is replaced by running with the dog, picking blackberries and kicking his football in and out of the breakers (yes, the football still must come along). I say; “you see, walking the dog is fun isn’t it?”. Tomorrow, I know I’ll be alone. Of course, sunshine and warm weather are wonderful, and here on the coast we have many more of these days than people give Wales credit for. It’s fair to say, though, that the great British weather is, at best, unpredictable but this should not stand in the way of the great British holiday. Take time to enjoy the scenery which can be just as breath taking on a cold winter’s day, wrap up warm and enjoy the simple life. These days, the stresses of daily life make a holiday a much-needed break. Ditch the arduous task of trying to fit everything into a small suitcase, from your flip flops to your winter coat - just in case. What do I need to pack? I know what I need – everything, ’just in case’. I love holidays abroad but there is something much easier about throwing as much as I can into the back of my car (dog included), without being hampered by luggage allowances. Life in a caravan doesn’t have to end at 8pm when the kids have gone to bed. You don’t have to be reduced to reading a book under the bed clothes with merely the aid of your phone torch. Or eating Pringles in the bath so as not to disturb the sleeping child. You can watch TV with a cup of tea, or sit outside and enjoy the sunset. We are lucky enough to experience some of the most spectacular sunsets and clear skies. I can often be found tripping over a rather large Labrador walking along whilst marvelling at the starry skies. Board Games are a long, lost family activity sadly now replaced by Xboxes, Ipads and people preferring to stalk the cousin of a brother of an old school friend on Facebook. Kids may never experience the joys of playing Twister with Grandad who has just had a knee replacement, or buying their first house in London, even if it has been paid for with Monopoly money. Simply enjoying other people’s company is an activity that has been lost in the sea of social networks. Caravan holidays bring everyone together, and nothing can be more enjoyable than a family board game or just simply talking. I grew up going on caravan holidays with my family at a time when holidays abroad were a luxury. I made the best memories out of the simple pleasures, playing cricket on the beach, exploring rock pools in Borth, or getting soaked by the waves on Aberystwyth promenade in October. I fear those days have gone, life has changed, and as parents we lament that children are no longer satisfied by simple outdoor activities. But I find that they are. With a little encouragement, they’ll leave the caravan and enjoy the simple pleasures just as much as we did when we were kids. Take time out. 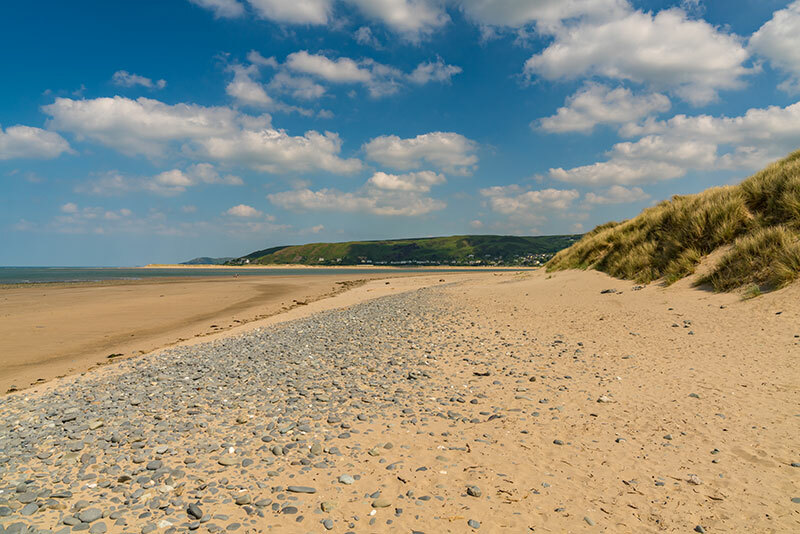 Book yourself a caravan in gorgeous West Wales for a weekend, or a week. Don’t worry about the weather. 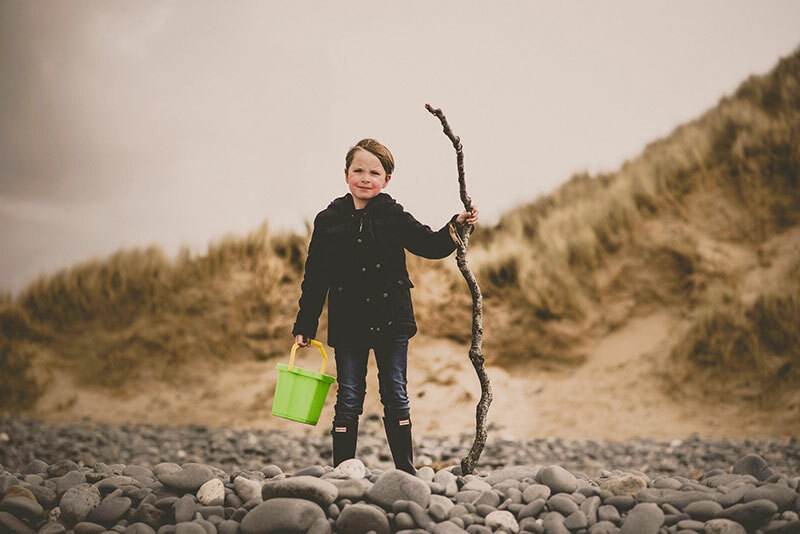 Bring your wellies – ‘just in case’, some books, a board game or two, and explore the Welsh coast. You won’t be disappointed.